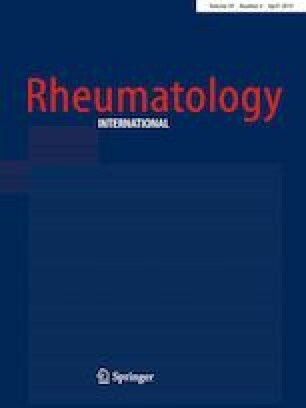 To what extend is nail ultrasound discriminative between psoriasis, psoriatic arthritis and healthy subjects? 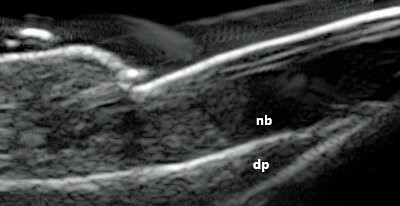 To assess the discriminative utility of nail features detected by B-mode (BM) and color Doppler (CD) ultrasound (US) between patients with psoriasis (PsO) and psoriatic arthritis (PsA) and healthy controls. Sixty patients with PsA, 21 patients with PsO, and 20 healthy controls were prospectively included. All patients underwent a dermatologic assessment and PsA patients also a rheumatologic assessment. All patients and controls underwent a US assessment of the finger nails that included a BM score for nail plate integrity and four different CD scores based on the amount and location of CD signals in the nail bed/matrix. In addition, we measured the thickness of the nail bed (TNB) and nail plate (TNP). The BM score and the CD score based on the amount of signals in the nail bed in contact with the ventral plate discriminated between the control group (median, range 0.0, 0–4 and 2.0, 0–9, respectively) and the PsO/PsA group (median, range: 7.0, 0–31 and 5.14, 0–13, respectively) (p < 0.05) with or without clinical nail involvement. The CD scores based on the percentage of the nail bed/matrix occupied by Doppler signals did not discriminate between controls and PsO/PsA patients. TNB and TNP were significantly higher in psoriatic nails with or without clinical involvement than in control nails. In PsO/PsA patients, the BM score, TNB and TNP were significantly higher in clinically involved nail than in clinically non-involved nails. Our results showed discriminative utility of BM US and some CD US features for PsO/PsA nails. The online version of this article ( https://doi.org/10.1007/s00296-018-4222-y) contains supplementary material, which is available to authorized users. Study design: EN. Acquisition of data: IJ, OBR, LV, MH, NB, BS, and EN. Analysis and interpretation of data: EN and JG. Manuscript drafting: EN, IJ, and JG. Manuscript revision and approval: IJ, OBR, LV, MH, NB, BS, JG, and EN. This work was supported by UCB Pharma through a publication Grant, and underwent courtesy review by UCB Pharma. Esperanza Naredo, Iustina Janta, Ofelia Baniandres-Rodriguez, Lara Valor, Michelle Hinojosa, Natalia Bello, Belén Serrano, and Jesús Garrido declare that they have no conflict of interest relating to the topic. All procedures performed in studies involving human participants were in accordance with the ethical standards of the institutional research committee and with the 1964 Helsinki declaration and its later amendments or comparable ethical standards.